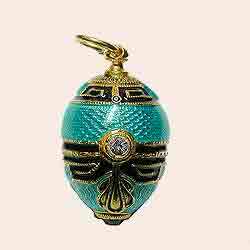 The Faberge eggs began in 1884 with an Easter egg made for the Czar that became a gift for his wife, Czarina Maria, and he always tucked a special surprise inside the egg. 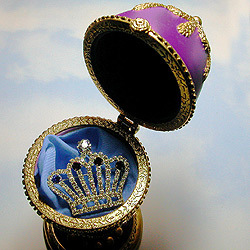 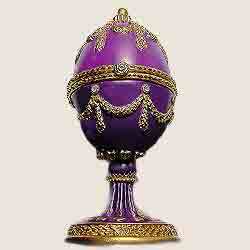 The surprise was always kept a secret and it was agreed that Faberge would make an Easter egg each year for Maria. 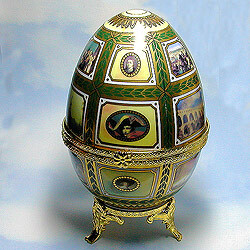 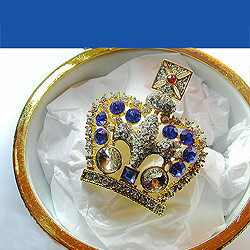 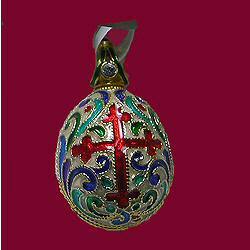 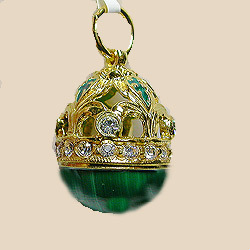 Faberge designed Easter eggs for another eleven years until Alexander III died. 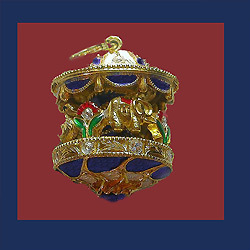 Then Nicholas II, Alexander's son, continued the tradition. 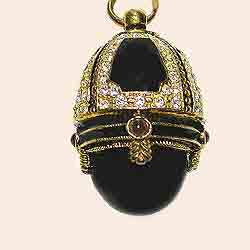 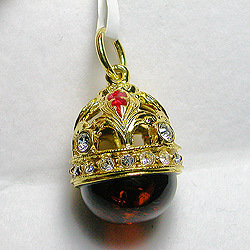 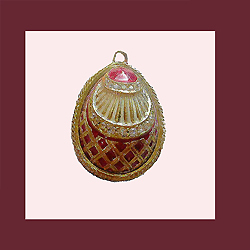 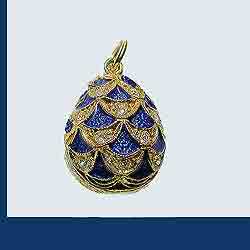 Now you can discover the magic of owning a "small treasure" in the grand artistic tradition of the legendary Carl Faberge because skilled Russian craftsmen, now working in the United States, are creating miniature jewelry eggs, designed to be worn as pendants, pins or charms.